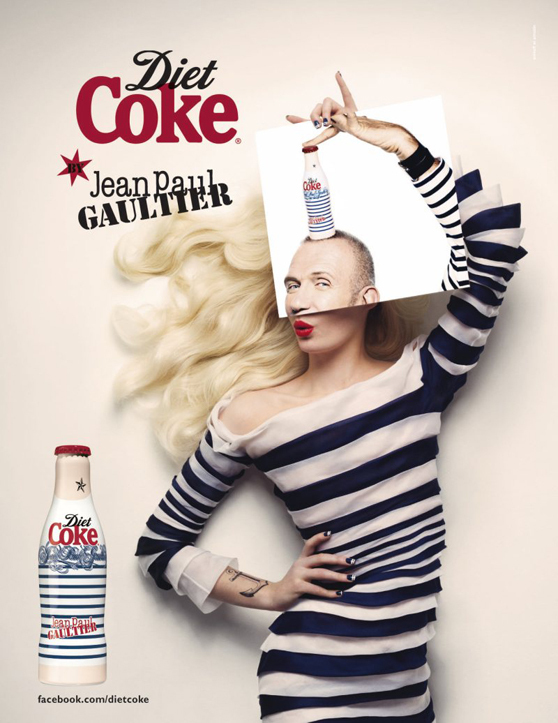 A couple of weeks ago Jean Paul Gaultier announced that he is going to be the new creative director for Diet Coke and with this he released a new limited edition bottle work and campaign. 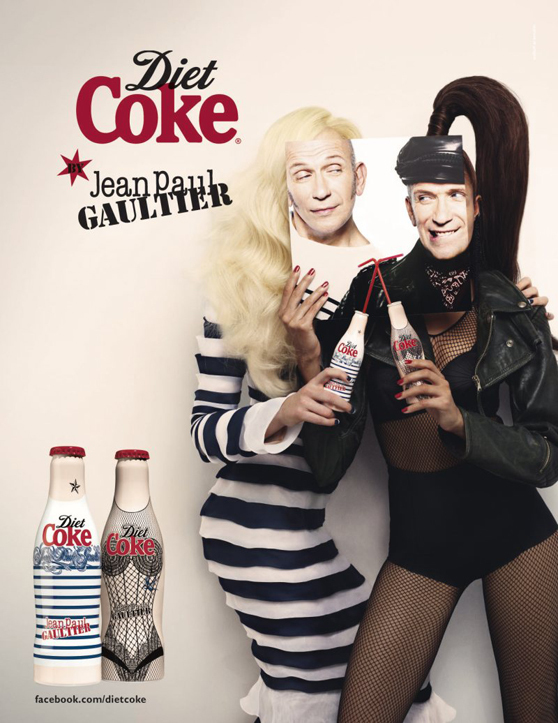 The print ads, shot by Jean Paul Gaultier’s friend Stéphane Sednaoui, featured two models in a day & night theme holding a the limited edition bottles and a cardboard with JPG face. The bottles will be available in 9 countries in Europe and a third limited edition bottle will be released later this year. 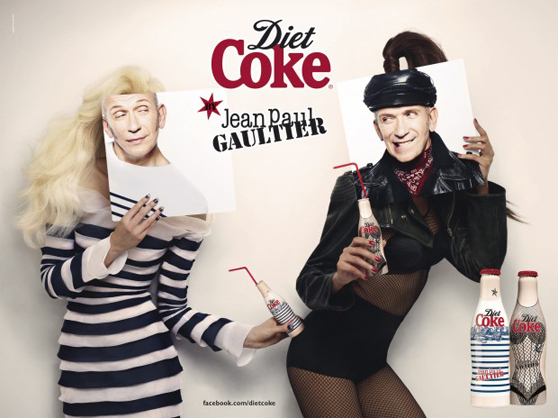 With this bottles comes also the mini series “The Serial Designer”, starring Jean Paul Gaultier and several marionettes. The marionettes all have a problem related to fashion, when JPG comes to the rescue. He drinks Diet Coke and gets energized and overflowed with ideas for the perfect outfit.